What is it that drives a person to challenge themselves in some of the most dangerous ways possible? Jared is known for completing the toughest mountain running challenges. 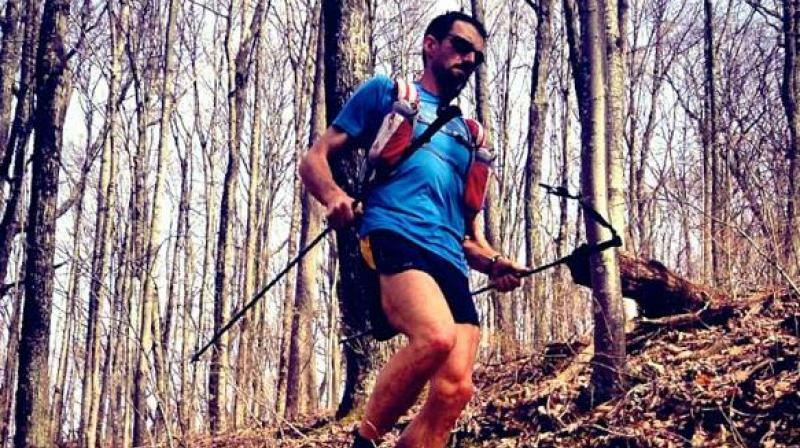 Jared Campbell is one of the only 15 finishers of the Barkley Marathon — a 100-mile race that must be completed within 60 hours in the Frozen Head State Park, Tennessee. Personality exists on a spectrum. There is no right or wrong place on the spectrum. We all have traits — physical, intellectual, emotional, etc. — that make us different. On June 11, 1977, a Saturday evening, prisoners at the Brushy Mountain State Penitentiary were playing basketball when a fight broke out. Finding this a good opportunity to make an escape, 49-year-old James Earl Ray, with the help of a makeshift ladder made with water pipes, scrambled over the wall and slid under the electric fence and ran into the nearby woods. Ray was serving a 99-year sentence in prison for assassinating Martin Luther King Jr. Ray was lost in the woods for 54 hours before being caught by six policemen and two bloodhounds. During those 54 hours he was running in circles and managed to cover just about eight miles from the place of his escape. Ray’s escape fascinated 21-year-old Gary “Lazarus Lake” Cantrell, a student in a nearby college who used to run over 100 miles a week, training for marathons. He believed one can cover 100 miles running in as much time as running in loops. Nine years later, he organised a race in the same woods to prove this and thus was born the Barkley Marathon — supposedly the most brutal race on Earth. In its history of 30 years, just 15 runners have completed the run 18 times out of 1,000-odd participants. Some people need more than the normal dose of life’s excitement, and to achieve this, they seek out high-risk activities. Some studies suggest that extreme athletes often share a set of traits such as optimism, high energy, originality, high self-confidence and a tendency to want to control their own fate. They find this alluring. It forces them to go deep inside themselves. You reach the limit and realise that there’s a little more. “Only those who risk going too far can possibly find out how far one can go,” so said T.S. Eliot. Treat yourself like an athlete, enjoy every day on this planet. Leave your mark, change some lives, have some fun.